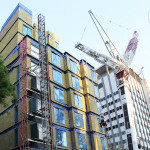 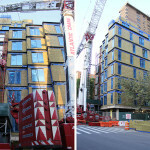 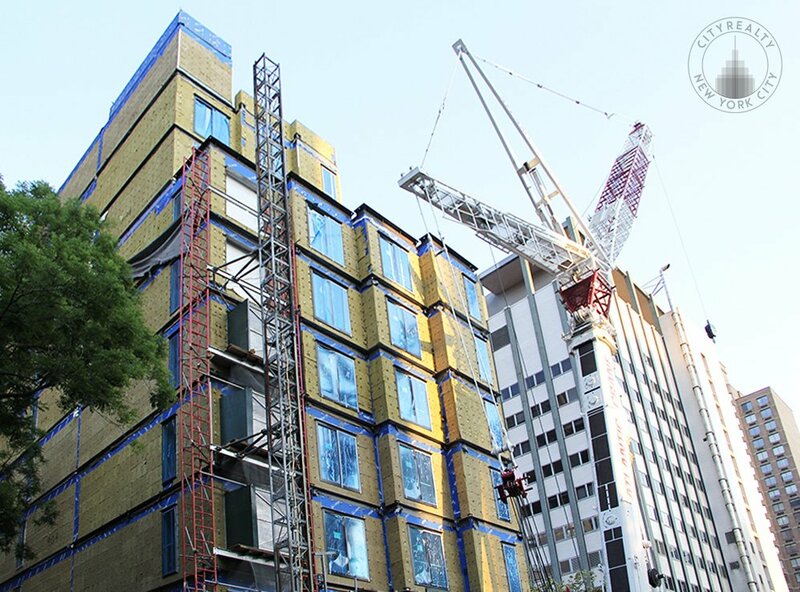 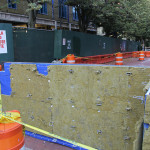 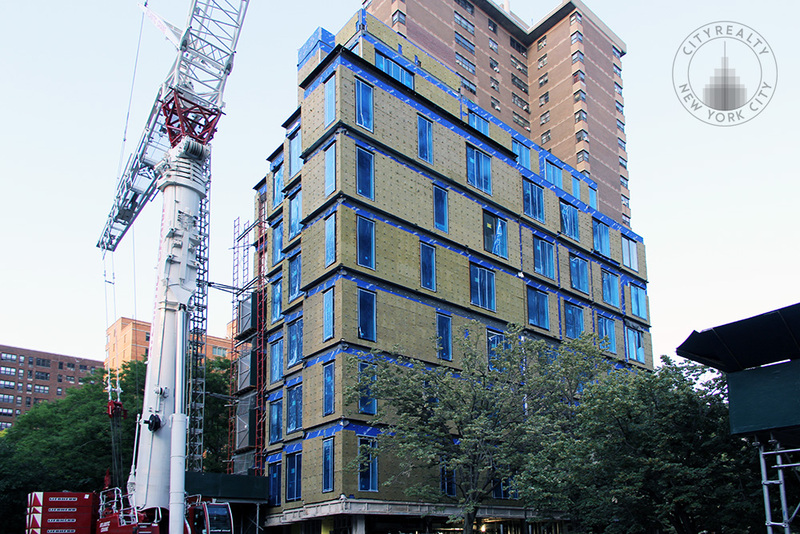 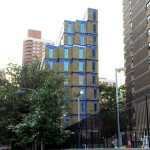 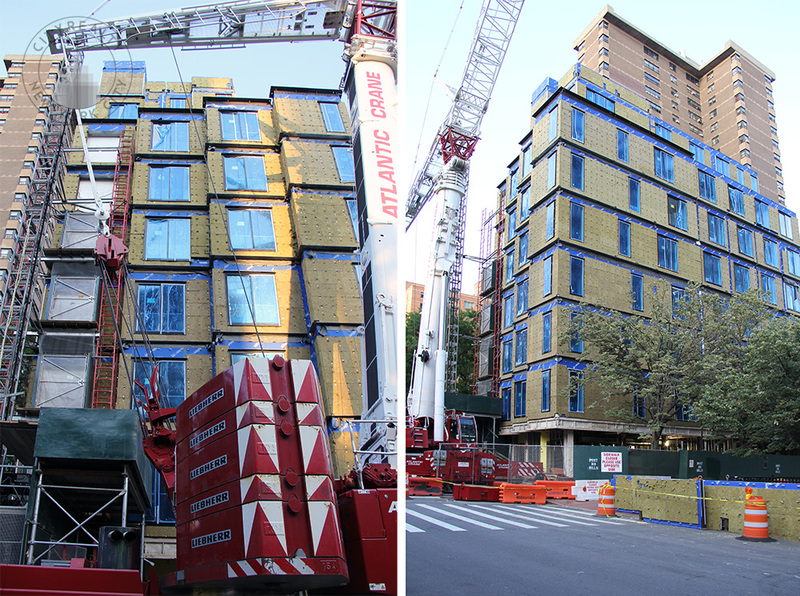 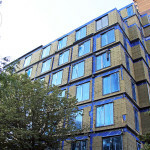 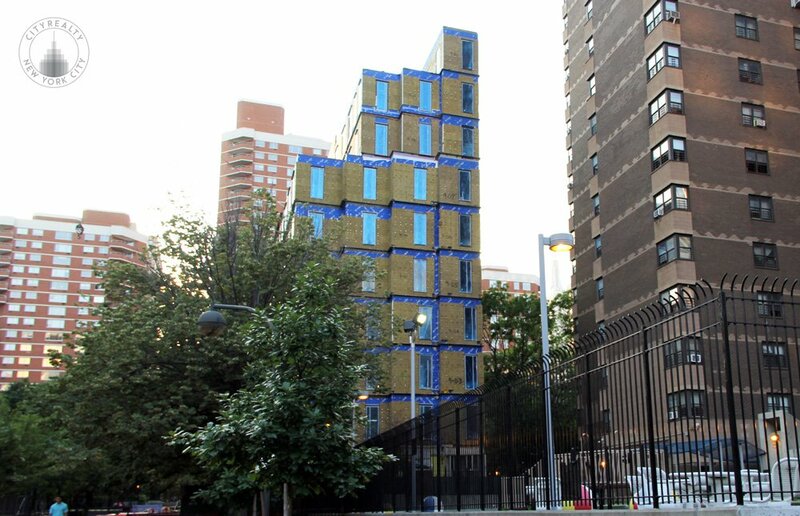 Currently the project’s 66 modules—fabricated in the Brooklyn Navy Yard—are simply covered in insulation, but a brick facade is said to be on its way. 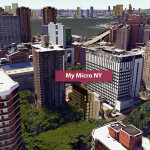 When complete, My Micro NY will house 55 studios, 22 of which will be affordable, and the rest priced at about $3,000 a unit. 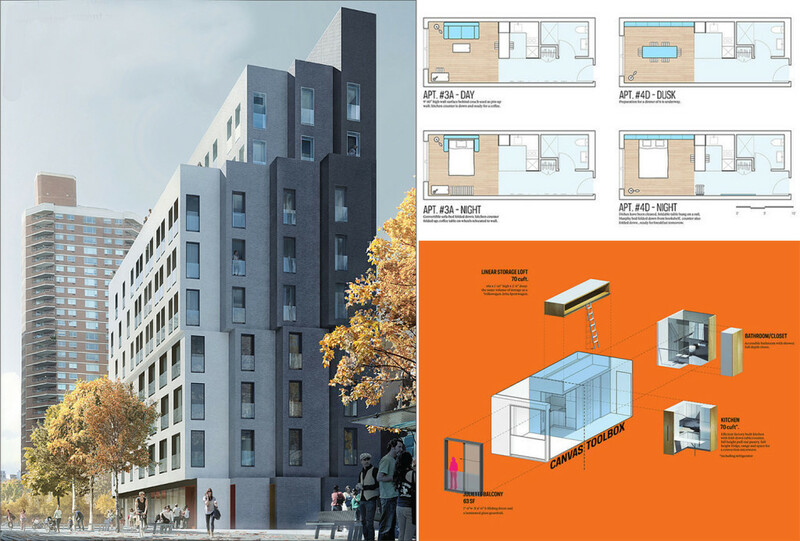 Each apartment will come with a full-depth closet, lofted storage, a kitchenette, a refrigerator, fold-down table/counter, full-height pull-out pantry, a range, and room for a convection microwave, and an 18-inch dishwasher. 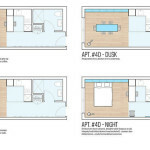 Though small by footprint, ceilings of just over nine-and-a-half-feet, a Juliet balcony, and large windows create the feeling of a unit far bigger. 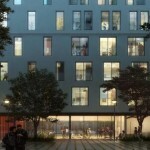 The complex will also provide a rooftop deck and communal spaces like a gym and rec room for residents to enjoy. 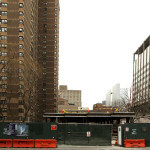 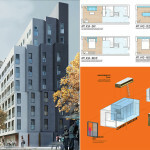 The $17 million project is designed nARCHITECTS and being developed by Monadnock and the NYC Department of Housing Preservation and Development. 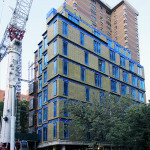 Move-in is slated for the fall. 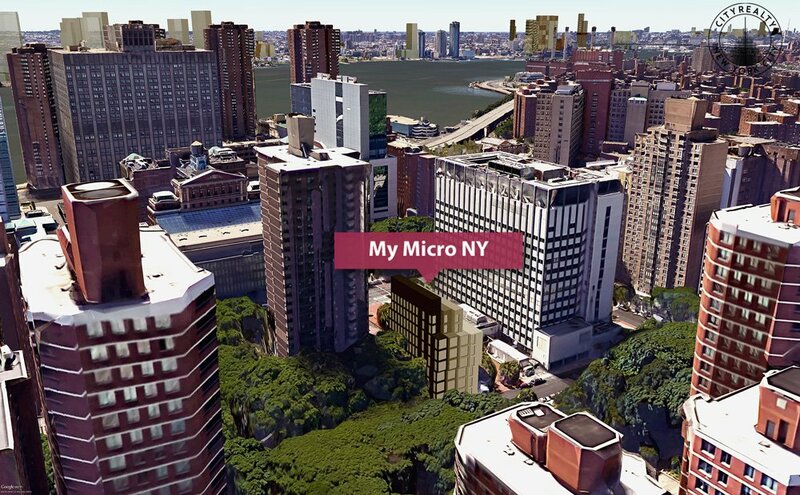 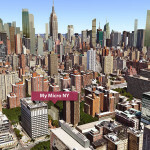 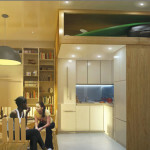 Follow My Micro NY at CityRealty for updates on leasing.